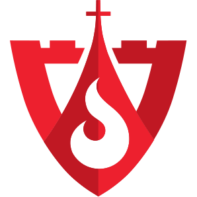 …A faithful follower of the Lord asks: Dear Dan, I enjoy reading more modern writers about prayer and the spiritual life but I am always worried about false teachings that could lead me away from the heart of the Church. How can I know when an author is not orthodox or teaches something that could lead me to deception instead of to God? You are wise to be concerned about finding the pure teaching of God on the matter of prayer. If the enemy can confuse us about the manner in which we communicate with our Lord, he can do much damage to our faith. Unfortunately, it seems that for every one good book on the topic of prayer, there are ten that contain various kinds of pseudo-mysticism that sound good and can yield positive temporal outcomes, but lack authentic mystical tradition. I will attempt here to provide a summary of the most common problems with modern teachings on prayer so that you can effectively navigate past the empty teachings of the world and toward the truth of God. With respect to trusting particular modern authors, the first and most common red flag is that they ignore the distinctions provided by the Church between the different kinds of prayer. Whether done out of arrogance, ignorance or sloppiness, this disregard is a signal that the author is not at all concerned with the wisdom of the Holy Spirit and the thousands of years of spiritual wisdom in the Church. These are writers to avoid. The Church outlines three distinct forms of prayer in the Catechism (part four, chapter three), each with their own definition and related teachings. These are: vocal prayer, meditation and contemplation. Often meditation and contemplation are incorrectly presented as the same thing, though they are not synonymous. When authors do this, any differences between these two distinct forms of prayer are ignored or explained away – an approach that is a sure path to confusion and a clear sign that you’ve uncovered unreliable teaching. This is particularly true because meditation is a work of the will and intellect of a person. Said another way, fruitful meditation can be experienced through the will and the intellect. Contemplation, however, especially what is known as “infused contemplation,” is strictly the realm of God’s grace. In summary, meditation is the work of humanity (for the most part), and contemplation is the work of the Divine. Put in the light of faithful tradition, the danger of confusion between these two forms of prayer and the negligence of some modern writers becomes more clear. The second danger sign is a perspective that is rooted in a form of spiritual naturalism. This orientation is the outgrowth of well-intended persons using purely human means (e.g. psychology or non-Christian meditation techniques) to overcome common challenges in prayer. The confusing twist here is that these ideas are usually wrapped in spiritual terms in a way that often masks their purely human trappings. For example, to deal with distractions in prayer, the pilgrim is instructed to focus on a “sacred word” or a mantra instead of receiving guidance on how to focus on and engage with the Lord himself. Though these purely human methods can help to minimize distracting thoughts, this positive gain is not in the direction of the Lord, but of earth or self. In the end, it does nothing, in and of itself, to draw one deeper into union with Christ in prayer. Properly used, these methods can provide fertile ground for focus on the Lord, but more often the end is silence of the mind and centering in self rather than engaging with God. To be clear, the problem here is not necessarily in the methods, but in a shallow focus. This focus diverts our attention from the understanding that prayer is, in its essence, a communion between persons, not a spiritualized mental or psychological exercise. I am not discounting all of these methods wholesale. The problem is primarily rooted in misuse and a misunderstanding of authentic ascetical and mystical theology as the appropriate backdrop for the understanding and use of any prayer method. In our Part II of this series, we will cover the progressive nature of prayer and how a misunderstanding of this reality can lead us way off the narrow path of a deepening relationship with God in prayer. Editor’s Note: In addition to his many accomplishments and responsibilities, Dan Burke is currently working on a comprehensive book on prayer. He is the author of Navigating the Interior Life and the founder and president of the Avila Institute for Spiritual Formation. 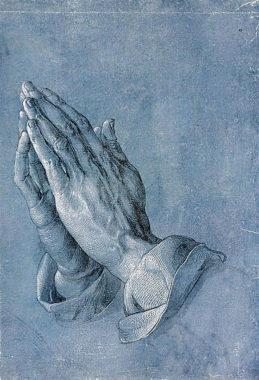 Art for this post on false teachings on prayer: Praying Hands study for an Apostle figure of the “Heller” altar (Betende Hände), Albrecht Dürer, ca 1508, PD-US author’s life plus 100 years or less, Wikimedia Commons. PrevPreviousCan Demons Cause Mental Illness?